GOLFERS ON GOLF RADIO is L-R Ed Stevenson, Bill Berger and Rory Spears. In studio at WNDZ AM 750, show time is 10 Am on Saturday’s. WE ARE BACK, and it’s nice to be back for the start of our 22 week run for the 2018 golf season. Tee time for now is 10 AM on Saturday mornings,on Am 750 WNDZ Chicago. If our old tee time at 9 AM reopens, we could elect to make a change, stay tuned. On behalf of our group, Ed Stevenson, Bill Berger and yours truly, we welcome you our listeners and readers back in the fold. As for being Chicago’s favorite foursome, our fourth Mike Munro will drop in when he can, and we could add some celebrity guest hosts to join the group from time to time. Stay tuned again. We opened the season with Masters low-amateur Doug Ghim, of Arlington Heights who checked in from his school the University of Texas in Austin. 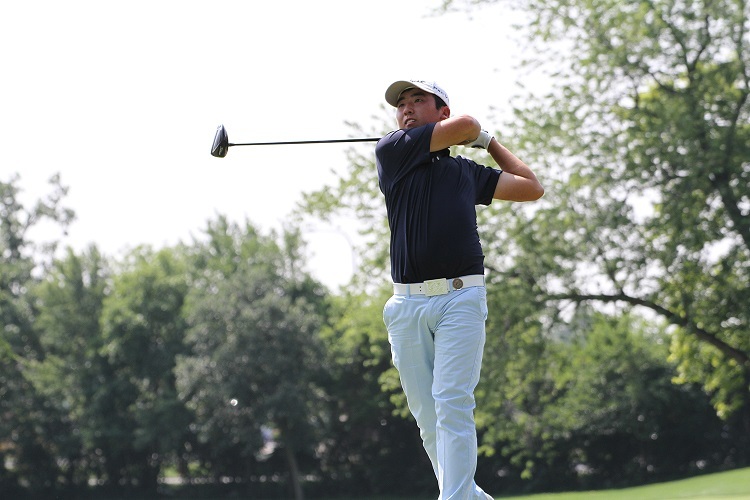 Ghim shared some great Masters week stories and announced that he will turn professional the week after playing in the U.S. Open at Shinnecock, but first wants to help Texas win the NCAA Championship. This past week at the Mistwood Golf Club, Callaway Golf held a day for the Illinois PGA Section professionals, and another day at the Glen Club for more pro’s on Thursday. During the quickly growing in numbers day at Mistwood, I spoke with Dave Neville Director of Brand and Product Management of Callaway Golf, and we played that interview on the show. For all of you who missed the interview here it is again. Go Rogue. Click here to hear the interview with Dave Neville of Callaway Golf. You are on the first hole at the Pete Dye Course at the French Lick Resort. Our final interview of the show was with Brendan Sweeney, the former Medinah Country Club caddie, who now serves as the Golf Marketing Director of the French Lick Resort, in of course French Lick Indiana. First on the tee is a spring package for Sunday’s and Monday’s at the resort, play the Donald Ross Course, play the Pete Dye Course, stay at the two-famous hotels and all for $600. But better yet was the announcement that more golf is coming to the resort. Currently the resorts third course the Valley Links course is nine holes. That will be changing to 18 holes in the near future. Pete Dye disciple Tim Liddy and Golfweek architecture guru Brad Klein will walk the property in the week ahead, and submit a proposal to the FL Resort on a proposed routing. A few other architects will be in the mix as well, it will be interesting to see who does the project. 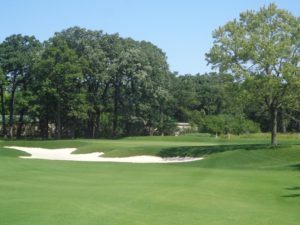 The Par 4, 7th hole at the Preserve at Oak Meadows in Addison. 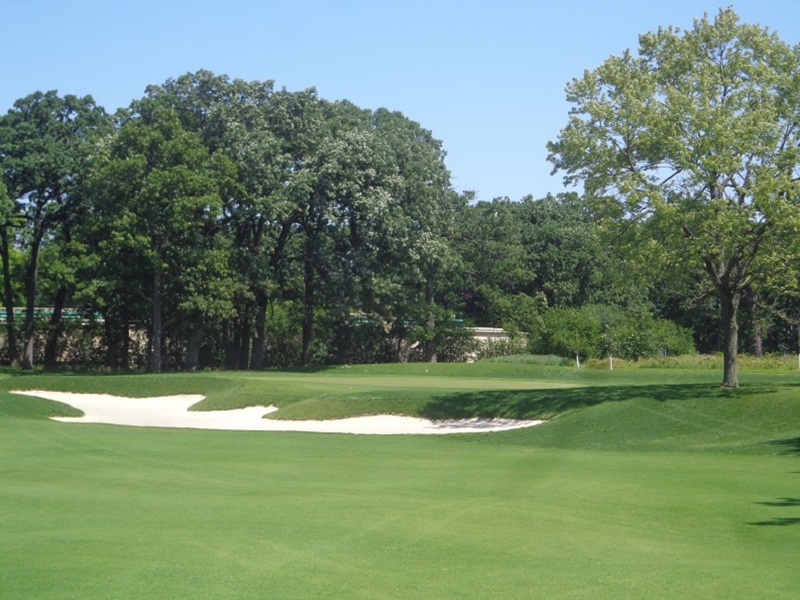 IT’S MORE GOOD NEWS for the Preserve at Oak Meadows, while Ed Stevenson could not be specific, it appears that the Preserve, already a winner of a major award with Golf Digest Magazine, will be receiving yet more accolades from someone or some organization in the golf industry. We await the announcement. Congrats to Ed, architect Greg Martin and everyone at the DuPage County FPD on what is coming down the pipeline. The plans for the new clubhouse are moving forward, the hope is for construction to begin next year, with the clubhouse opening in 2020. 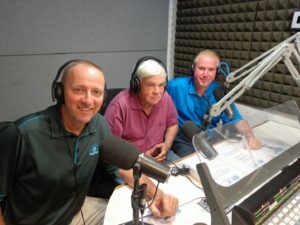 Golfers on Golf Radio returns for week 2 of 22 next Saturday at 10 Am, we hope you can join us on Am 750 WNDZ. The Gog Blog Speaks Out returns tomorrow. RS.